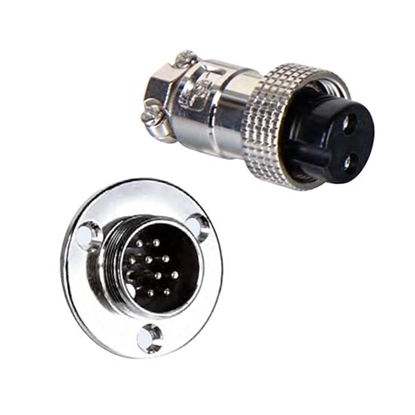 Circular connector has 2/3/4/5/6/7/8/10/12/14 pin to select. Tips: How to select pinhole and the number of pins? First, select the number of pins according to the demands of circuit. 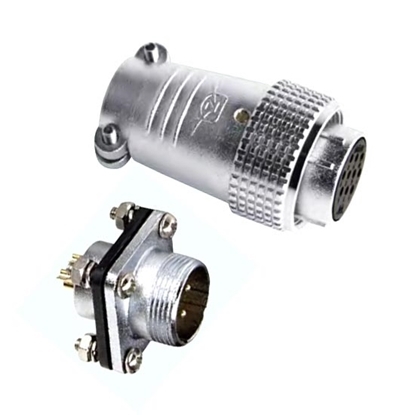 At the same time, the volume and total separation force of circular connector should be considered. 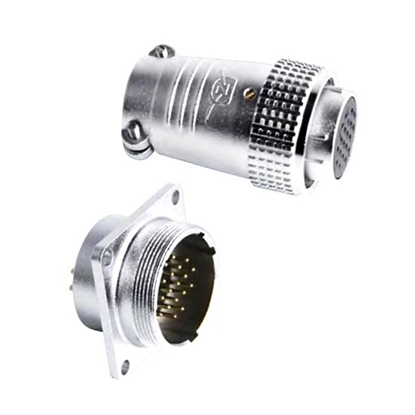 If pins have large number, circular connector will also have a big volume and strong total separation force. 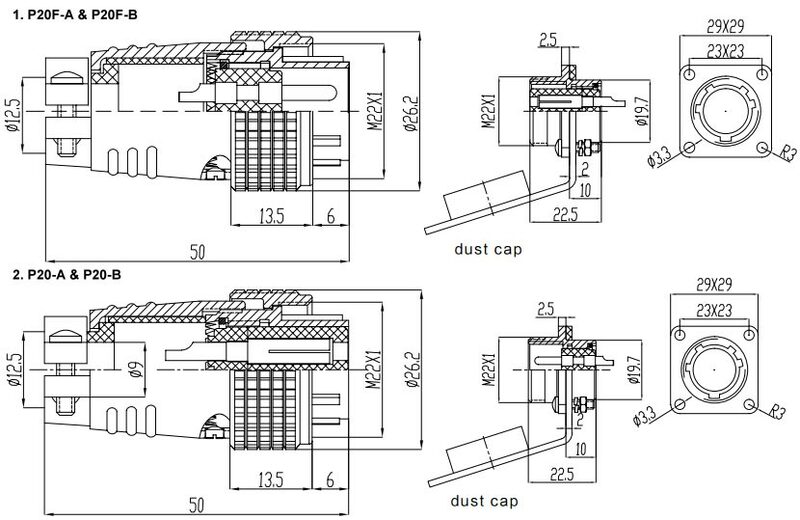 For the occasions with high requirements for reliability and appropriate volume, the parallel connection of two contact pairs is adopted to improve the reliability of connection. 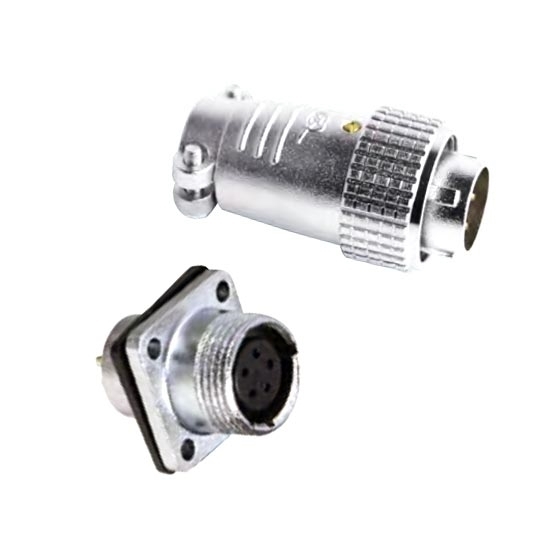 In the plug and socket of connector, contact pin (male contact) and socket (female contact) can replace each other. 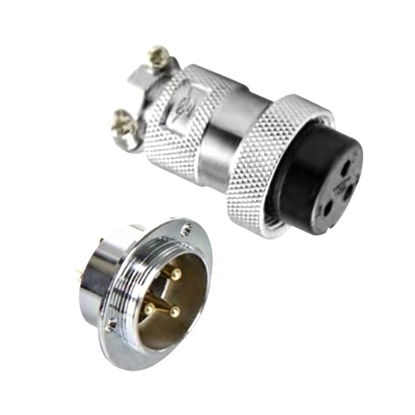 In the actual use, they can be chose according to the electrification condition at the two ends of plug and socket. If socket is always electrified, choose the socket with holes. Because the electrified contact pins of socket with holes are buried in insulator and human body can't touch electrified contact pins easily, so it is relatively safe.